Surprise! Bet you thought you weren’t going to see an Orchid of the Week post today, didn’t you? This regular feature has totally fallen by the wayside lately, and for that I apologize. I’ve actually been busier with work over the past few weeks, and then last Friday I was out and about preparing for that hurricane thing that happened. It just makes me happy to look at these little guys. They look a little like pansies, no? Apparently the blooms have a light scent, which is a bonus in my mind. Have a great Labor Day weekend, everyone! OK, I need help here and it looks like you’re just the right person to provide it. I’ve been cultivating various different orchids for about 10 years and one big beautiful Dendrobium aggregatum is among them. Most of my orchids produce incredible bloom but this Dendrobium which I’ve had for about 2 years looks healthy and produces tons of lush green leaves but no bloom. When it comes to lighting, potting soil, hydration, fertilization and aeration; I think I’m doing everything by the book. But apparently there is something wrong because I have yet to see a single yellow little flower. Can you shed some wisdom on this? Hi there! I wish I had some good advice for you. It sounds like you’re way more experienced with orchid-growing than I am! 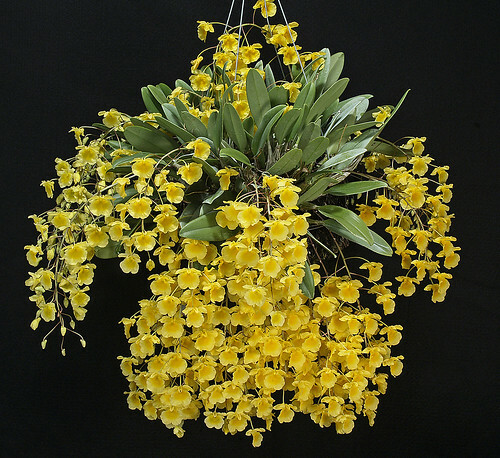 I wonder if your Dendrobium hasn’t flowered because of the temperature? I know that for Phals to bloom, they need a drop in temperature at night. Just a guess, really. Sorry that I’m not more help…I hope you are able to get your orchid to bloom at some point!! Re: Hanna’s comment about her healthy but not blooming dendrobium, I suspect (like most stubborn healthy non-blooming dendrobiums) that it’s not been getting it’s “winter rest”. 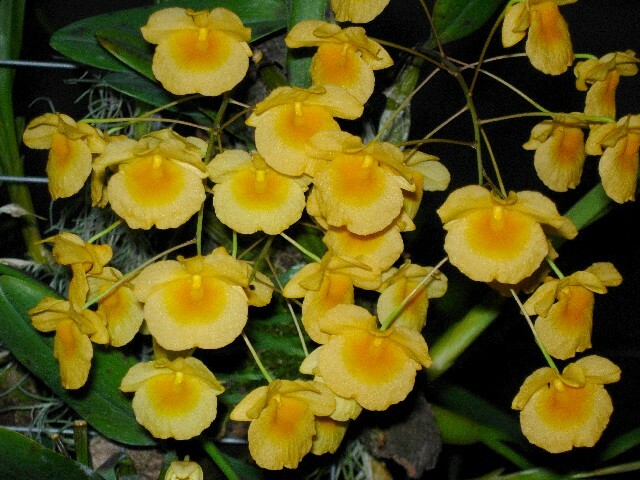 Quite a lot of dendrobiums go through a dry (but not desert-like…) winter period in the wild; without this, they seem to concentrate on just growing and churning out keikis rather than creating buds and flowers. Some people have suggested that the key thing in “winter rest” is absolutely no fertilisers, but just plain water (RO/distilled/rain), rather than the dryness; they should probably be kept slightly dry too, and then rewarded once you see buds forming with spring/summer “rains” and resuming your regular fertiliser schedule. 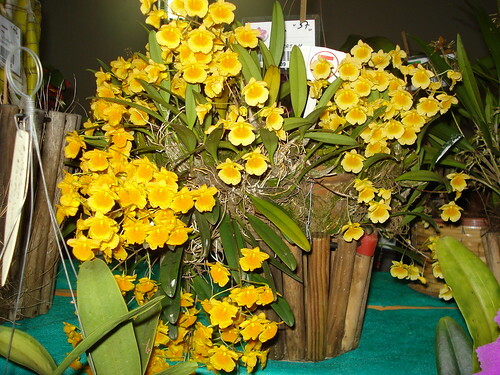 Might be worth trying the “you need to be cruel to be kind” approach with your dendrobium this winter! That sounds like some great advice, Discus — I’m going to have to try this with my dends as well! Hi I am new here, just chose blogsites from the links at left of blotanical. This is so lovely, i saw it here during last months Garden Show but forgot the name. Now thanks for the ID. I also took its photo, because that was the first time I saw it. So it flowers also in cold climes, amazing! Thanks for the comment, Andrea! I can’t wait till mine blooms….fingers crossed!! Hi, those blooms are lovely, your den looks lovely too. About your kekis I looked on one of my phi this morning and saw something that looks like one, if it is I would be so excited because it would be my first, I’m keeping my fingers and toes cross. Ooo, I hope you have a keiki! Good luck and keep me posted! Hi, my Phil finally showed it’s true colours, not a kiki but a new branch, I’m a little sad but hey it means more blooms to enjoy. That’s still awesome, because you’ll have blooms soon! Yay! Hi there, I recently bought the same plant in the orchid show in April,2013, I planted it in a coconut shell and hang it under some trees where there’s lots of shade, light and its very cool there, within 3 weeks the plant send out one pseudo bulb and to date no growth has taken place, i however moved the plant to another tree where there is more light but no activity has taken place, the bulbs are green and healthy I use 20/20 once a week to induce growth. I do not over water but nothing is happening can you help me. Also I got a phalaenopsis with 2 leaves about 3-5 inches long and I have no problem with it I’ve gotten this plant to grow like mad, it sends out leaves 19.5 inches long but the spikes which are very long only gives me 2 flowers and currently the plant is flowering for the second time for the year(recently in august and a flower opened 6th October 2013) How can I get more blooms? As this plant finish flowering it sends out keiki so i cant cut the stem to induce flowers as with other phalaenopsis. 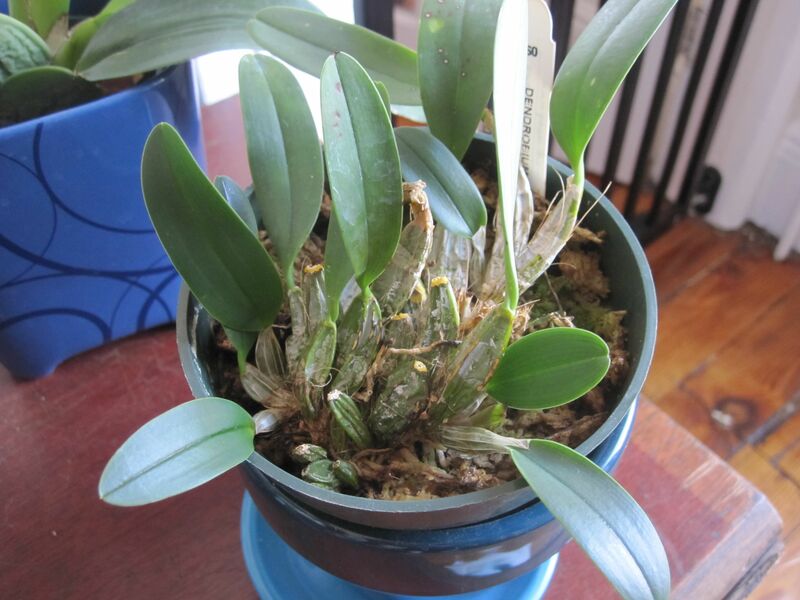 My Dendrobium aggregatum has put out several new pseudobulbs but hasn’t bloomed for me yet, so unfortunately I don’t really have any advice on that one from my own experience. I have read that they like high light, so it sounds like your choice to move it was a good one. With regard to your Phal, I’ve had the same issue with some of mine this past year. They put out spikes but only a couple of blooms. Honestly, I haven’t figured out what the issue is yet. Any readers out there have any insight into this issue?